This is an easy recipe to make and I get rave reviews from my family. 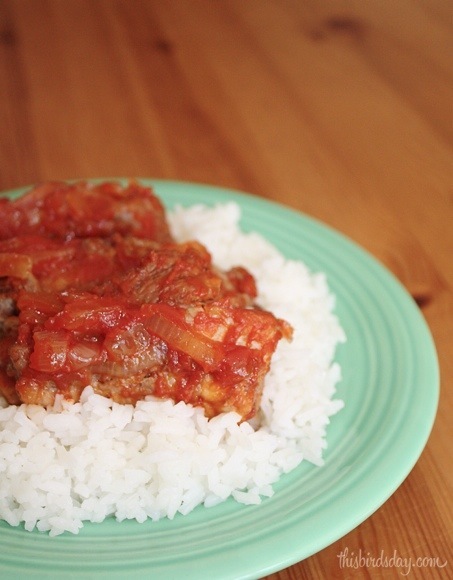 This was originally my mom’s Spare Ribs recipe and I took out a couple of ingredients and added something of my own (because I love paprika) and it is a great meal to make when you have some time to prepare it. I never realized how much I loved this meal until I got married and my mom made it for us when my parents came to visit. The next time they came back, Frank asked if she would be making ‘that spare rib’ dish again. Note taken. I made this on Saturday and my husband and everyone cleared their plates. My youngest even held up her last piece and said ‘more please’ before gobbling it down. The recipe is a little sweet, and very tangy, but not at all spicy. The recipe itself is easy to make, but it does take an hour and a half. You will need a larger baking dish as three pounds is a lot of ribs. When you place the ribs in the dish, they should be in a single layer so everything gets cooked evenly. The best part is that for a family of four (with younger kids), there will be leftovers the next night. A great-tasting rib recipe that you can do on those cold or rainy days in the oven. Perfect with rice, potatoes, or yams. Preheat oven to 350 degrees and cut spare ribs into single rib servings. Bake ribs in baking dish and bake at 350 degrees for 30 minutes. While ribs are baking, heat oil in a saucepan and add onions. Brown until opaque and soft. Add lemon juice, vinegar, Worcestershire sauce, brown sugar, water, Ketchup, and paprika. Continue to cook over medium heat for 20 minutes. Pull the ribs out of the oven and add sauce over ribs, spreading evenly. Cover the ribs, and bake for one hour. Mmmm. 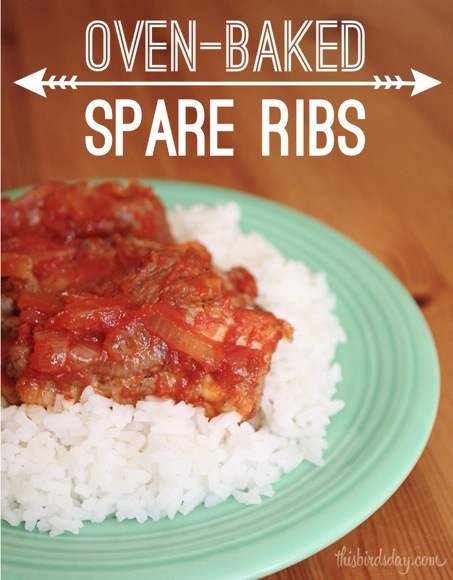 This spare ribs recipe looks so yummy. You’ll have to let me know what you think if you try it out. It is delicious, and one thing our daughters will both eat. Love this recipe and glad you are making it to your own taste and that your family loves it too. Usually there are no leftovers! Will have to make it again myself soon.